Insert pedicle screws into each of the thoracic and lumbar vertebrae. Use a rongeur, awl, probe, feeler, pedicle screwdriver and x-ray imaging to safely and correctly place the pedicle screws. Buy access to a single procedure on an annually renewing basis. Once purchased, you will receive a confirmation email to install the procedure(s). 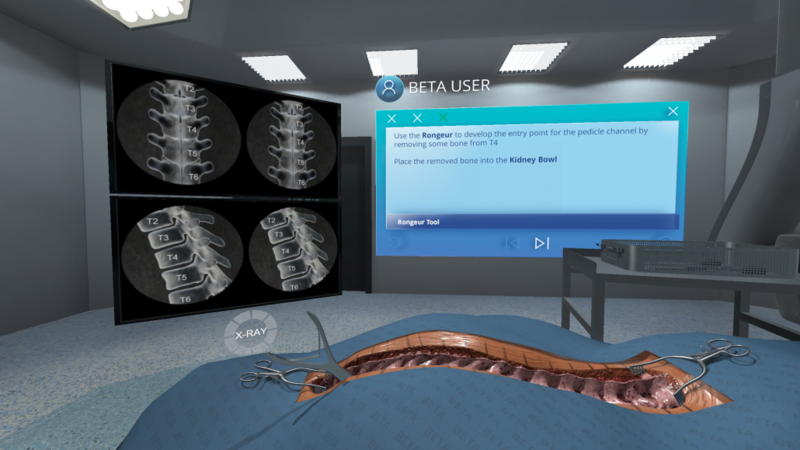 On release of further spine simulations, you will be able to purchase upgrades for your pass to cost-effectively add additional procedures to your licence(s). To add multiple copies of the product, continue shopping and hit the 'Buy Now' button again.